As Federal agencies migrate to the cloud, new and complex security and compliance challenges are slowing adoption and innovation. 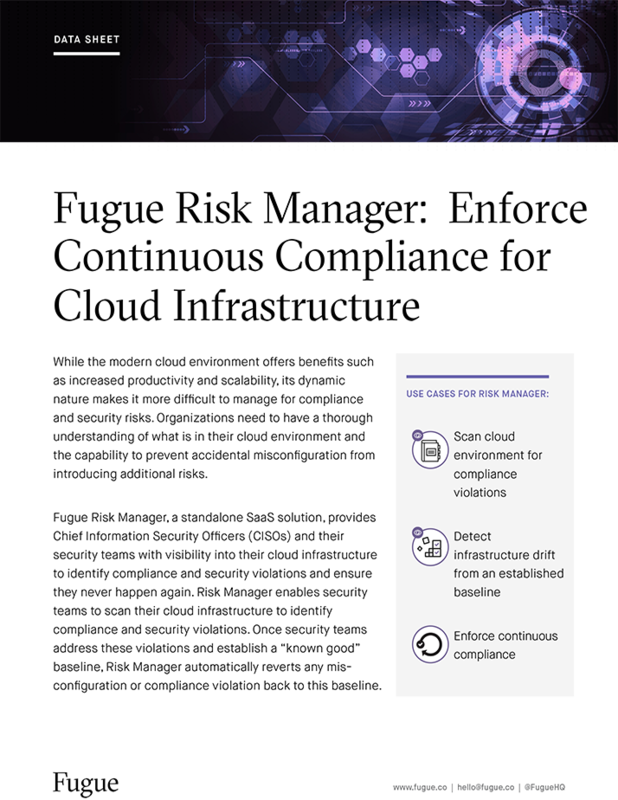 To meet these challenges, Fugue identifies security and compliance violations in cloud infrastructure, remediates them automatically, and ensures they are never repeated. 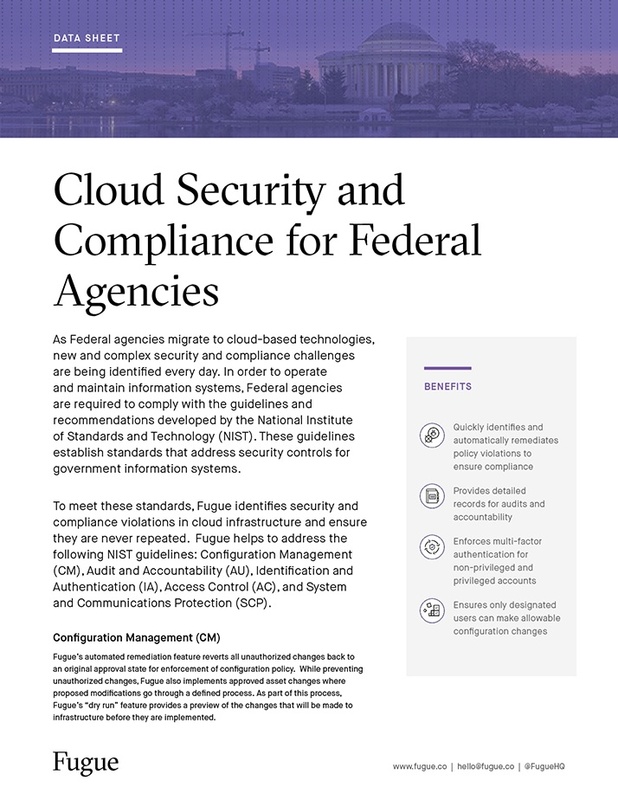 Fugue can enforce NIST 800-53 compliance for cloud infrastructure and reduces time-to-ATO to enable speed-to-mission and improve operational efficiencies.